How the Christmas Tree got its Lights: A Christmas Legend written by Tracy J Holroyd and read by David C Holroyd. A Conan Creed/Twisted Ear Production for Salford City Radio by David C Holroyd and Tracy J Holroyd. The Light (Halloween Version) by David C Holroyd. 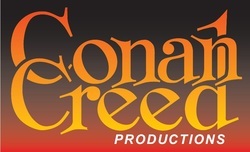 A Conan Creed/Twisted Ear Production for Salford City Radio by David C Holroyd and Tracy J Holroyd.